When deciding to put my mythbox together I didn't want to spend very much at all. Nor should I have to: I've got components lying around for Africa. I have a bad habit of upgrading my main PC more frequently than is probably necessary (meanwhile my laptop chugs along on 4 or 5 year old technology, I forget how long it's been) and so this means I've got a spare CPU, motherboard and memory and even a 120 GB hard drive. A remote control of some kind. The DVD burner is the only thing I consider optional currently. For now I'm just going to "borrow" a DVD drive from another PC. Seriously, it's pretty rare that these optical drives are used for much these days. 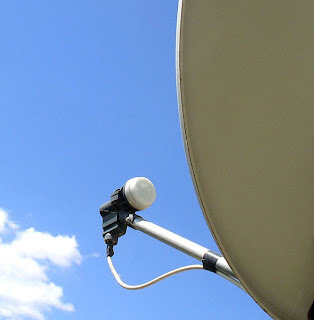 The TV card must be able to receive DVB-S. DVB-S2, the newer standard which enables HD reception, is not a necessity for me because the broadcasters have no plans to upgrade to it yet. Their current satellite has no DVB-S2 transponders. I could get a second card if I wanted to but this isn't a priority. Most DVB-S cards also have an analogue input and this will do for me to plug in my Pay TV decoder. Sure, the video will be analogue (meaning the CPU will have to do a little work) but at least it should work. The case will have to be fairly high quality and preferably with optical bays oriented to allow horizontal positioning. I'm not a fan of these expensive $400 "media center" cases you see about the place. I don't need metal, nor fancy lights, nor LCD displays. Just a decent black box. The remote doesn't need too many requirements. However the standard Windows MCE remote should do the trick nicely. Partly this is because it includes IR blasters which allow the PC to change the channel on the Pay TV decoder. All in all the mythbox should do enough to be useful. My old CPU isn't quite HD video ready probably but given I have practically no hope of getting HD reception this isn't really a concern. Cheers to fazen for the image. Licensed under CC.